About | I am JuJu! I am JuJu. You can call me Julie if you prefer as that is what is actually written on my birth certificate. My mom and dad nicknamed me JuJu before I could crawl & it really stuck. I can remember growing up with everyone in our family referring to me as JuJu. Thirteen years ago my sister had her first child and of course I became Aunt JuJu. I love to hear the many voices of my family, young or old, refer to me as that. It is who I am. Last year, my then 8 year old nephew, asked “JuJu, what is your real name?”. “It’s Julie”, I replied. My niece, who was 12 at the time, look shocked as she said “Your name isn’t JuJu? I had no idea! Well, I’m still calling you JuJu!”. I quickly reassured her “of course you can still call me JuJu…that’s who I am. I am JuJu”! I am wife to Chris & mother to Skylar and Hailey. Skylar was diagnosed with autism in August of 2002. It was a devastating & extremely scary & lonely time as I knew nothing about autism. It has been a LONG road, but we have survived! Chris and I vowed from the first day that we would fight this fight together and do anything that we could do to help Skylar function as high as possible. We agreed that there is no better investment than our child and that we would spend every penny helping her to be the best Skylar she can be. 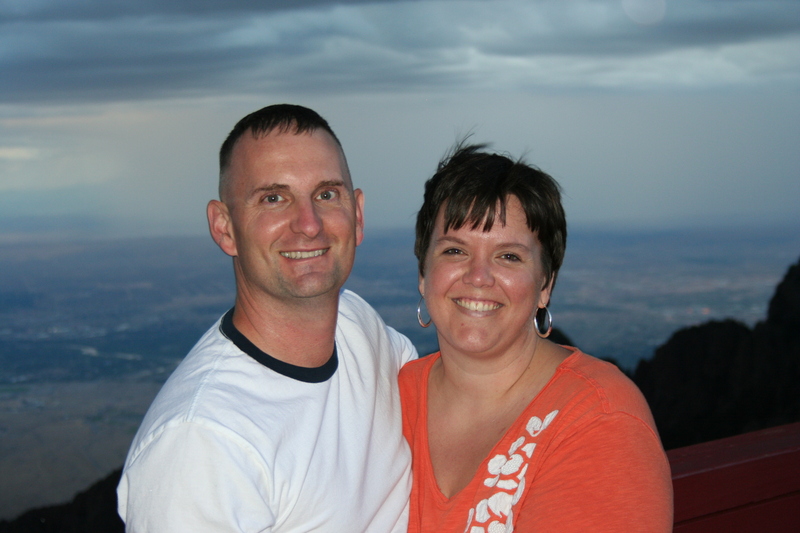 I am a registered nurse but I am taking a break from nursing as we have recently moved to Prescott, AZ for Chris to teach ROTC at Embry Riddle Aeronautical University for 3 years. From the moment I met Chris, we have laughed! We try to find humor in almost everything….even autism. We would rather be laughing than crying. We have our fair share of tears, but we aim to laugh as much as possible! We definitely have a lot on our plates with school, work, therapies, biomedical treatments & just life in general. Our life is busy….but it is so good! Julie, this site is so great! Your mom forwarded it to me. I am going to forward that video to our teachers of students on the spectum, too. Love your glass is half full attitude, Girl! Oh Lynn! I can’t tell you how big I smiled when I saw that you commented. I miss not seeing you at all the jewelry events. Your total love for all of your special education students and your job is something I will always remember. Thank you for sharing Lou’s video, it is so powerful. Feel free to share my blog as you feel led. I love you Julie, even though we haven’t met. Anju healed my kids and I owe her my life. You are also part of the crusade and I am proud to have you on my team! Hi Dana! My folks also called me Juji. JuJu just seemed to stick a lot more. It’s a great nickname!! Thanks for stopping by! Hi Julie, My name is Janelle and I am going through the same thing but not yet fully diagnosed. My son is 7 years old and myself and my husband new there was something different about our son at the age of 3. So it has litterally took us 3 years to get some help and answers. I myself felt alone… not only did I feel it was my fault due to my seizure medication that I took while pregnate, but we have a really good doctors that told me that I shouldn’t blame me and it could have been worse with my seizure medication and he felt with the medication I am taking it has nothing to do with my son. So while waiting for a true diagnose I have anxiety! I hope you can keep me update with your daughter and give me great advise. Thank you Janelle! I’m glad that you have found comfort in my blogs. Please don’t hesitate to e-mail me if you have any questions. I’m happy to help!